Clif Bars have whole ingredients you can see and taste, such as rolled oats, fruits and nuts. 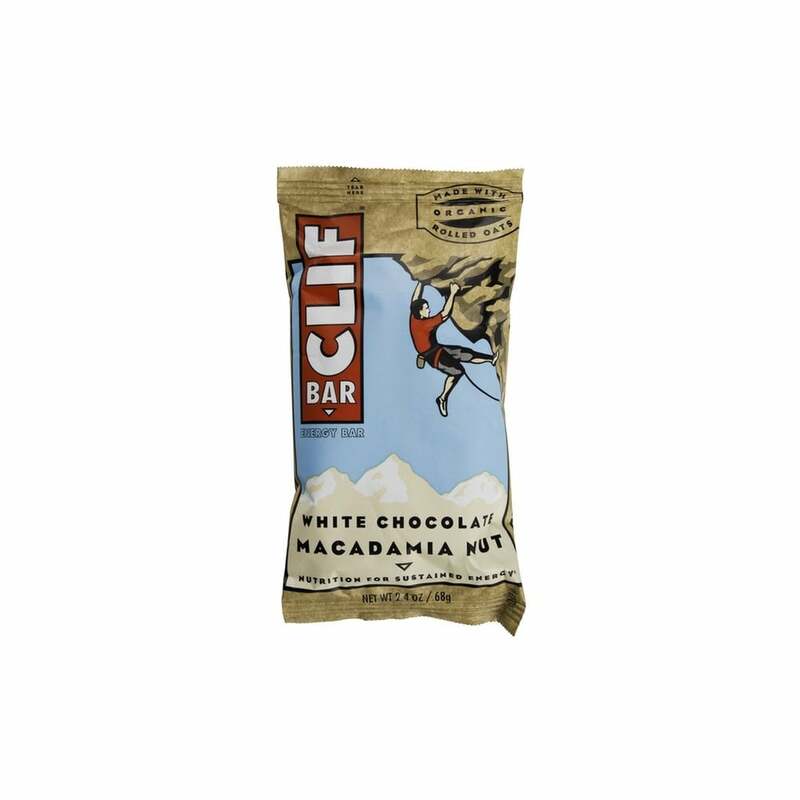 Crunchy macadamia nuts meet creamy white-chocolate chunks in this delicious bar! Perfect for hiking, ultra running, cycling or just as a snack. Clif Bar is the first bar made by Clif Bar & Company and it represents everything the company is about. Whole, organic ingredients. Performance nutrition. And great taste. Perfect for hiking, ultra running, cycling and other outdoor adventures. We at myRaceKit love these tasty bars! Each bar contains B6 and B12 which contribute to the normal release of energy for use in the body. Clif Bars are best eaten about one to three hours before exercise along with water to prevent hunger and supply energy to working muscles. Allergen Statement: Contains Soy, may contain wheat and traces of Milk. A myRaceKit favourite, perfect energy to fuel your hike, bike or run!